Klondike Technologies™ is an Irish company which designs and develops thermal management solutions for the IT, data centre, renewable energy and telecommunication industries. 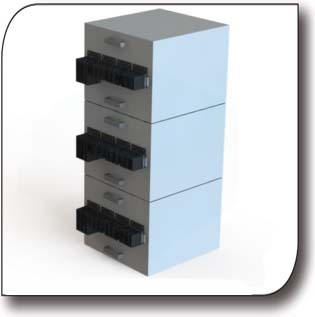 We provide low energy thermal management systems which have been specifically developed for the purpose of addressing issues surrounding the thermal management of electronic equipment and batteries in BTS and UPS site applications. From the sub tropics to the tropics, the premature degradation rate of battery cells has always been a challenge. 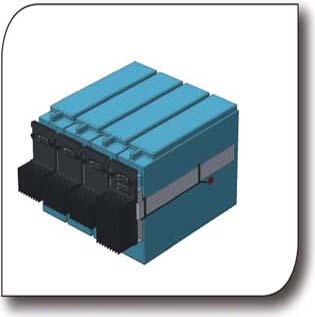 Air conditioning systems are an expensive and unreliable method of cooling battery installations due to the compactness and layout of the battery banks. The air conditioning units have many parts and regular maintenance programs are a requirement. Compressor based cooling systems have been presented to the market place which are low energy consumption refrigeration units, however these systems are costly, difficult to retrofit to existing installations, and rely on filtration systems which require continuous maintenance. Our patented Klondike CoolPipe technology has been developed to provide a highly reliable, low energy cooling solution to offer clients a tried and tested alternative to air conditioning. 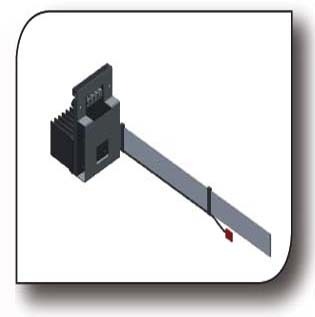 Our technology has no moving parts or filters and requires low maintenance which is ideal for remote installations. Applications of the Klondike CoolPipe technology have been developed to offer clients a retro-fittable cooling solution which enhances the existing cooling systems performance. 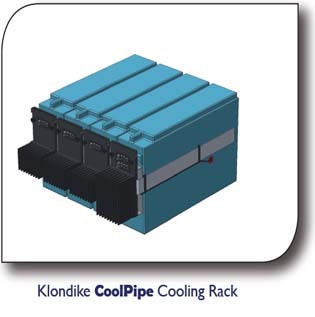 Klondike’s CoolPipe Battery Cooling Rack is a set of cooling elements or modules which collectively form a rack structure which can act as a heat pump to draw unwanted high temperatures from the voids between the batteries and dissipate the heat into the air-conditioned ambient environment. This product is suitable for applications in which the batteries are operated in an ambient environment set to ETSI recommendations, or 24°C. Klondike’s CoolBath solution has been developed for applications where sealed VRLA batteries are not plumbed for hydrogen ventilation. The battery cooling rack is housed within a cool bath structure which can maintain the temperature between and around the batteries at their ideal set point while allowing the batteries to gas freely. Klondike’s CoolPipe Thermal Management Solution is comprised of the Rack system which is completely thermally separated from the air conditioned environment. This has been developed to house batteries which are fitted with piping to allow for hydrogen ventilation. The Klondike CoolString is a set of cooling elements or modules which collectively form a rack structure which can act as a heat pump to draw unwanted high temperatures from the voids between the batteries and dissipate the heat into the air-conditioned ambient environment. The Klondike CoolBath solution has been developed for applications where batteries can be thermally separated from the cooled ambient room temperature, allowing the room temperature to increase significantly saving power while keep the batteries stored at their optimum temperature range. The Klondike CoolBath™ Plus is a cabinet sized version of the Klondike CoolBath™ Outdoor. It is designed to replace a standard telecoms BTS battery cabinet and thereby replace air conditioning with highly reliable, low maintenance solid state cooling. The Klondike CoolBath™ Plus enclosure holds up to sixteen standard 12V VRLA batteries. The enclosure is used to thermally isolate the batteries from the ambient environment while the patented solid-state Klondike CoolPipe™ technology is then used to maintain the batteries at the optimum 20°C, whilst the outside ambient temperature increases up to 55˚C. 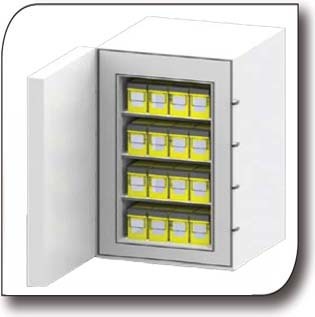 This patented product easily removes and cost efficiently reduces heat in BTS cabinet applications. This technology works by dramatically reducing the heat from the voids between the batteries. This unique patented Klondike product is highly effective and like all our products, is an environmentally friendly way to save money. The Klondike CoolBath maintains batteries at a fixed temperature – even as ambient temperature increases. It is durable and lends itself perfectly to BTS shelters, UPS rooms, solar panels, generator starter batteries and more. 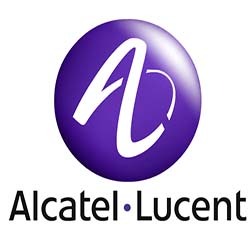 Its low power usage save large amounts of money. Just like all products in the Klondike range, this unique, patented product is designed to be environmentally friendly and give a great return on investment. 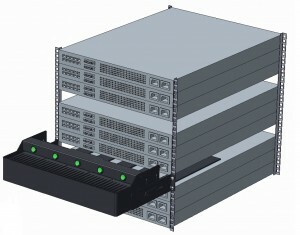 It works by reducing heat build-up and effectively addresses hot spot issues within rack mounted electronics. The Klondike CoolRack was specifically created to fit the standard 19″ rack and as such, compliments the current rack cooling system.